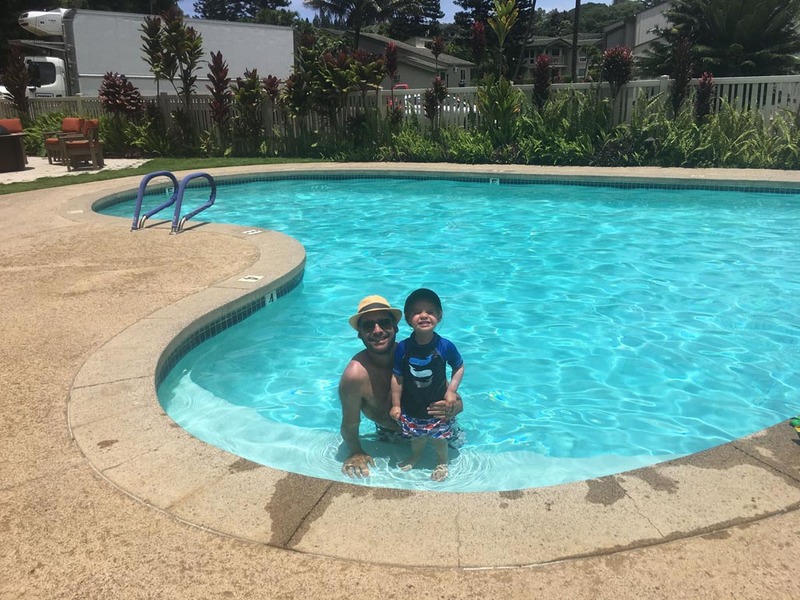 Family travel expert Ari Charlestein shares the best things to do in Kauai plus the best activities and advice for traveling with kids! Pristine beaches, lush forests, and picturesque cliffs that meet the crashing waves. This is the island of Kauai. There’s no doubt Kauai lives up to its reputation as one of the most beautiful places on Earth. The Island of Kauai's natural beauty attracts travelers from all walks of life, both as an Eden-like oasis of rest and relaxation. Kauai is a rugged hiking paradise full of dormant volcanoes and cascading waterfalls, and let’s not forget the other island inhabitants like sea turtles and humpback whales. Hawaii is a snorkel (and scuba) haven. Seemingly hidden in the Atlantic Ocean between Australia and the US Mainland, few tropical locations offer the same number and varying types of unique, family-friendly activities as Kauai. Kauai is the fourth largest of the islands, the fourth most visited of the Hawaiian Islands and it is the oldest of the Hawaiian Islands. Yes, it’s far - hopefully, your little ones are good flyers! - but once on the ground, you’ll never be far from fun and excitement that’s great for kids of all ages. Humpback whales migrate through Hawaii between November and March. This is also the high season with Christmas being the busiest time of year. Shoulder season is a good time to visit Kauai for the best deals in April and May or Sept through November. 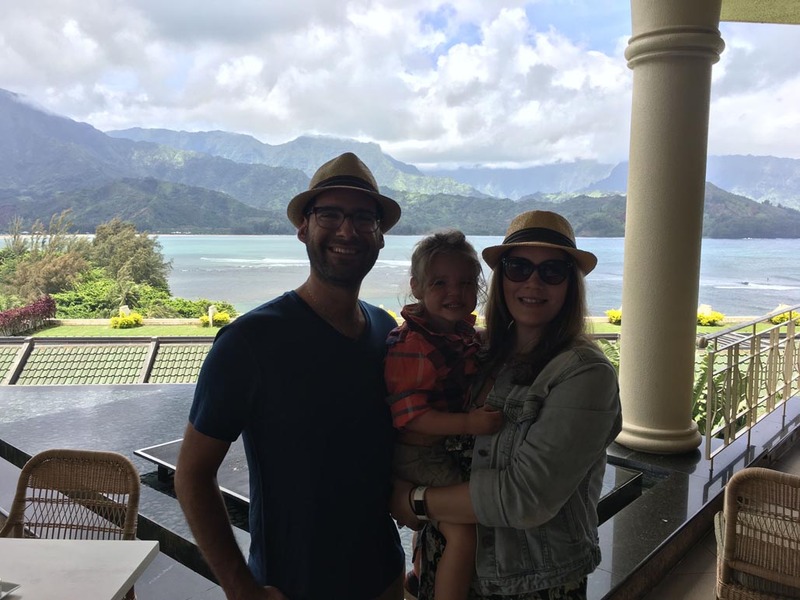 For us, we traveled to Kauai with our three-year-old son, So don’t think “Oh, my kid is too young to appreciate the experience”… They’re not! Whether it's sightseeing on a chopper, or taking a train ride through an orchard; from sculpture parks to luaus, Kauai is the perfect destination for families. Flights to Kauai from the West Coast are 6 hours and there are direct flights from various locations. Check out Skyscanner for the best deals from your home town. For the places to stay in Kauai try Booking.com‘s Kauai accommodations and check out the reviews and prices on TripAdvisor. 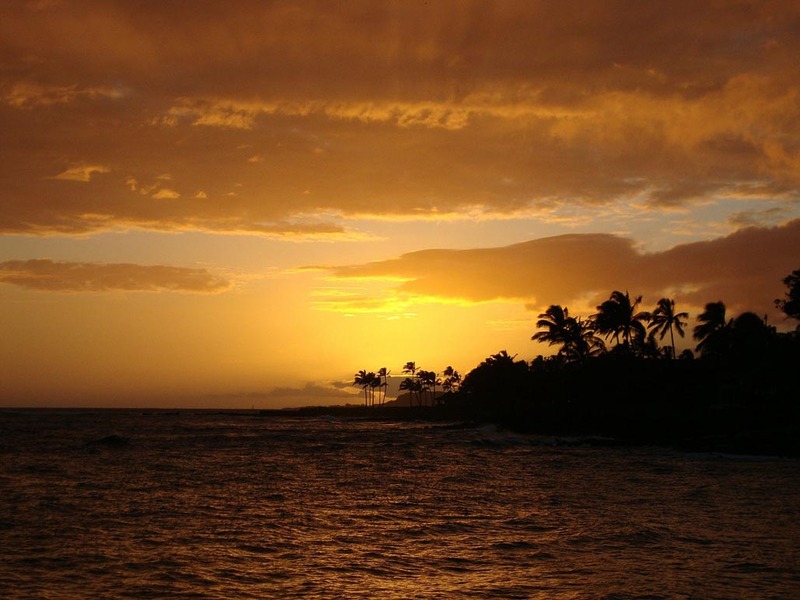 There are 750 hotels on Kauai so you are sure to find one that suits your needs. We stayed on the North Shore in Princeville. North Shore are Lawai, Hanalea, and Poipu. Staying in hotels as a family, even with only one kid, can be a bit of a challenge. Rooms are often quite small, and when you have a toddler in a crib, even the most experienced ninja is likely to wake the baby when and if they happen to get up at night. For that reason, we always look for the opportunity to stay in apartments or villas that offer a kitchen and dining/living room. This allows us to strategically place the crib out of earshot while saving money by utilizing the kitchen and not always eating out. 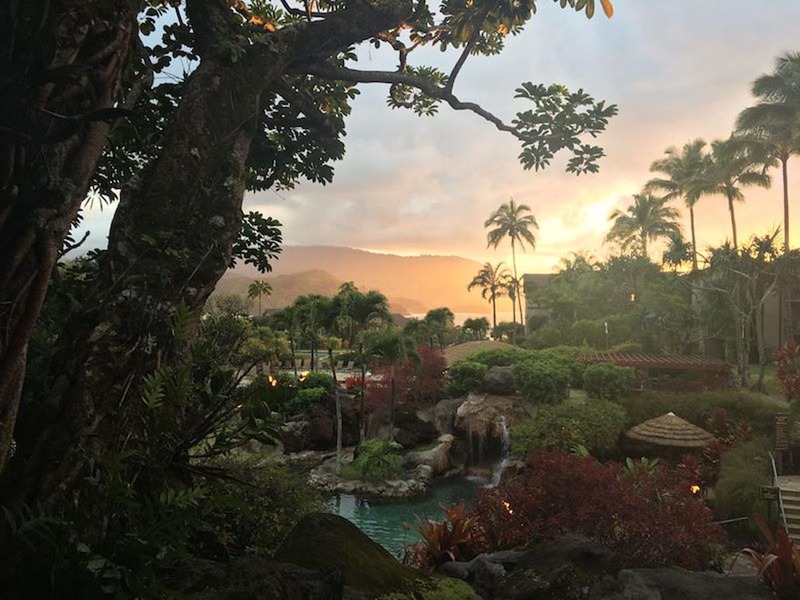 In Kauai, the northern coast is home to the luxury resorts of Princeville (including a world-class golf course and some private residences as well), and it’s there that you’ll find the Makai Club Resort. 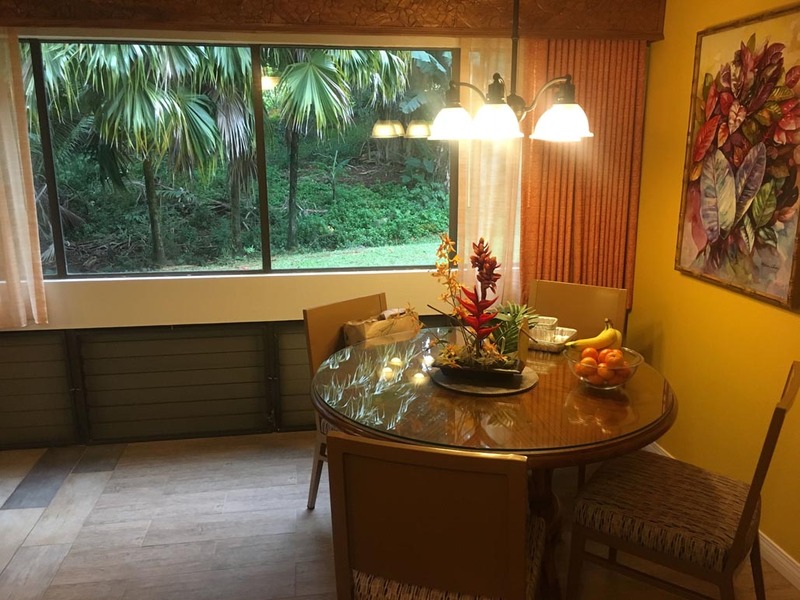 Unlike the other resorts in Princeville, which are all full-service, five-star establishments, the Makai Club Resort gives off a much more “independent” or self-service feel. Yes, they do have a main building with 24-hour staff and an on-site concierge, but each of the units either stands alone or is part of its own duplex. There’s no daily housekeeping or fancy turn-down service, but there are board-games, movies and even bikes that can be rented out, free of charge - something you rarely see in Hawaii! The units are spacious, and each one is equipped with its own laundry, a full kitchen and separate living and dining rooms. 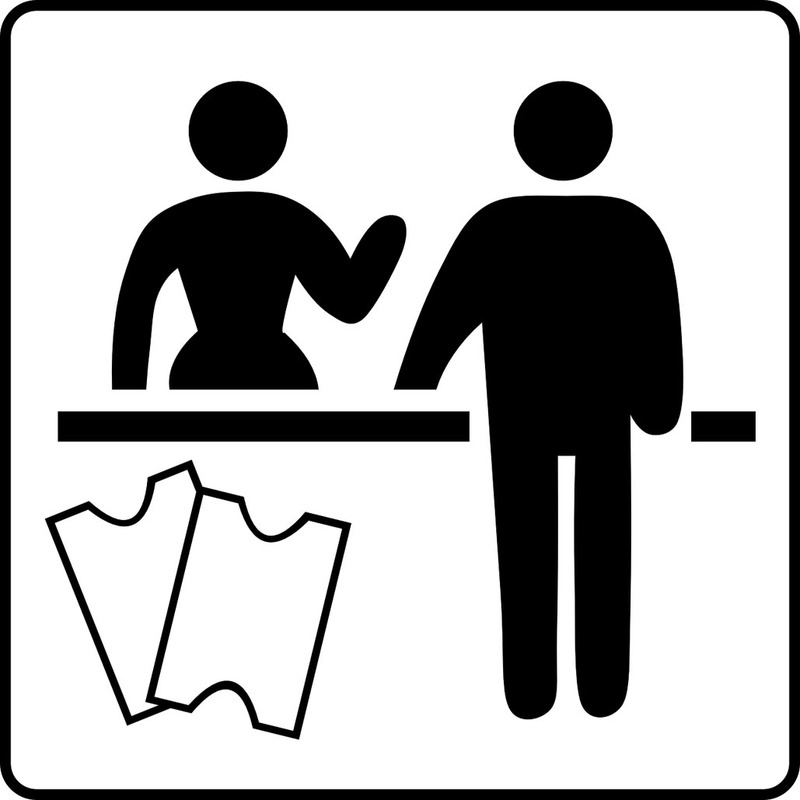 Each day, they offer a social activity which guests can join in, also at no charge. Some days they have a BBQ; others have free mai-tai making; some days offer water aerobics. We didn’t spend enough time at the resort to take part in any of those, but according to the staff, they are always full. The nearby grocery store had all the essentials we needed to cook up some great food, and we even prepared packed lunches for our days out! Our favorite part of the resort, however, was the concierge. Valerie has been working on Kauai’s north coast - she splits her time between Princeville and Hanalei Bay - for over 20 years and is very well connected across the island. Not only was she able to get us preferred rates for several activities, but she even got us on a helicopter tour that we had been told was sold out! Obviously, it’s all about who you know, and Valerie certainly knows the right people! The best part for all of you is that she doesn’t only work for visitors who are staying at her resorts. That’s right, you can email Val at [email protected] anytime before your trip to Kauai and she can be your personal concierge. She’ll help you determine which companies to work with. "A concierge is especially useful when trying to decide between the 4,382 different luaus." She’ll book excursions for you, and - most likely - she’ll help save you some big money too! And don’t forget restaurant reservations… She knows the best spots and she knows how to get you in. 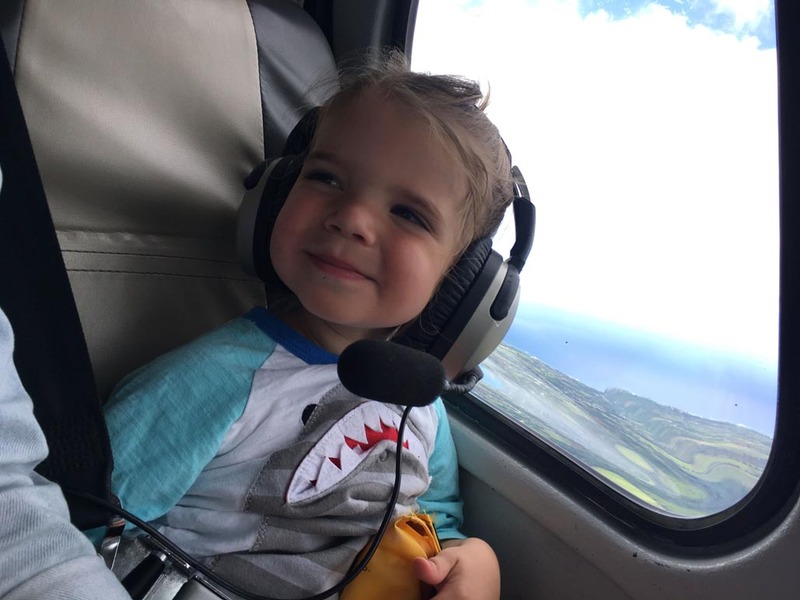 Whether you’re traveling with kids or not, nothing says “trip to Kauai” like a helicopter tour. At Val’s recommendation, we went with Sunshine Helicopters. 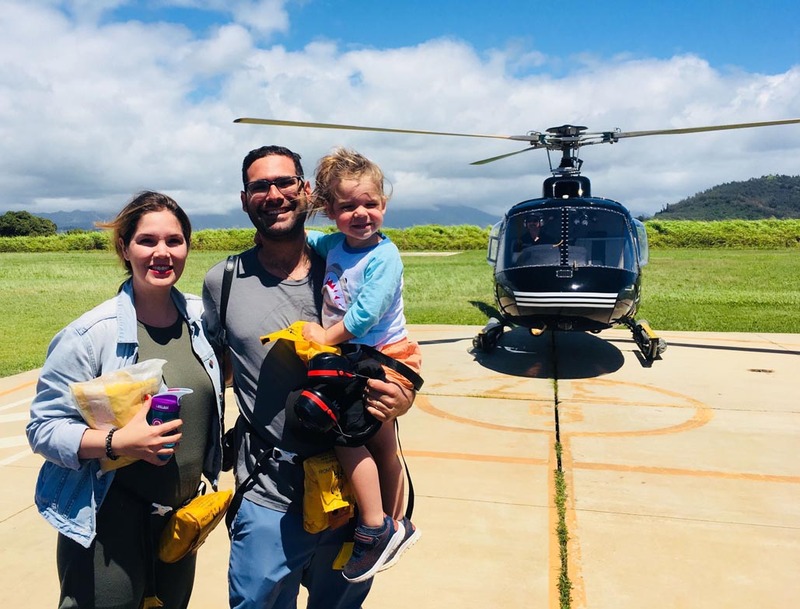 They have a stellar safety record, which is obviously a big selling point for us, though in general, there are very few helicopter incidents across the Hawaiian islands each year. And they all fly over Mt. Waialeale’s 3,000 ft. waterfalls (including “Jurassic Falls” made famous by the Jurassic Park movies). Our 45-minute flight left me in awe. It took me nearly an hour after landing to finally pick my jaw up off the floor! Each second of the tour was more breathtaking then the one before - the peaks and valleys, the rainforests, the cliffs, the waterfalls and the beaches each provided incomparable beauty. And while there’s really no bad seat in these choppers, the one (very minor) regret I do have, is that I didn’t pay the extra $70 to sit in the front row next to the pilot. The only noticeable difference between my middle seat and the front row option was my need to lean over my son or wife to snap a good photo. Other than that, however, the flight was 100% perfect and I cannot recommend it, or Sunshine Helicopters enough. 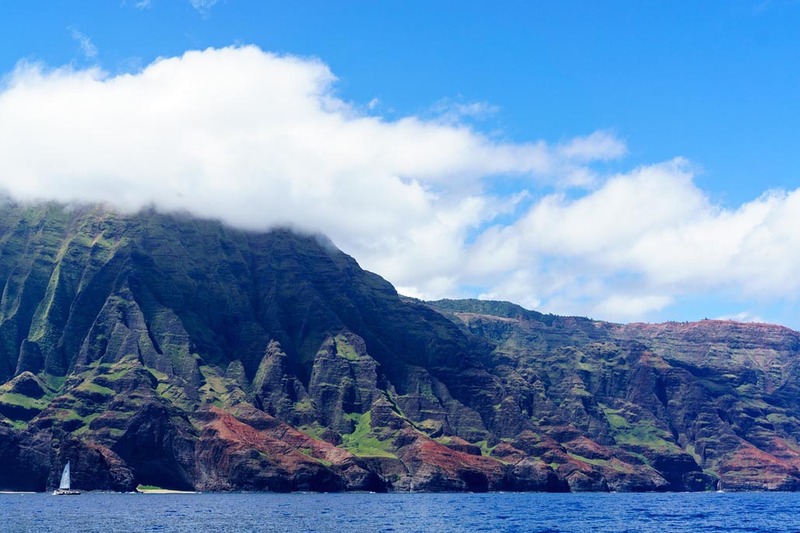 Among the most striking natural views on the island, are those of the Na Pali coast. The jagged cliffs rise up from the water, exposing their mineral-rich red color. As they rise, almost 1,400 feet above sea level, the natural colors are taken over by varying plant life, flaunting more shades of green than you knew existed. Without a doubt, the best way to view this natural wonder is from above; one of the many reasons we can’t recommend a helicopter tour highly enough. 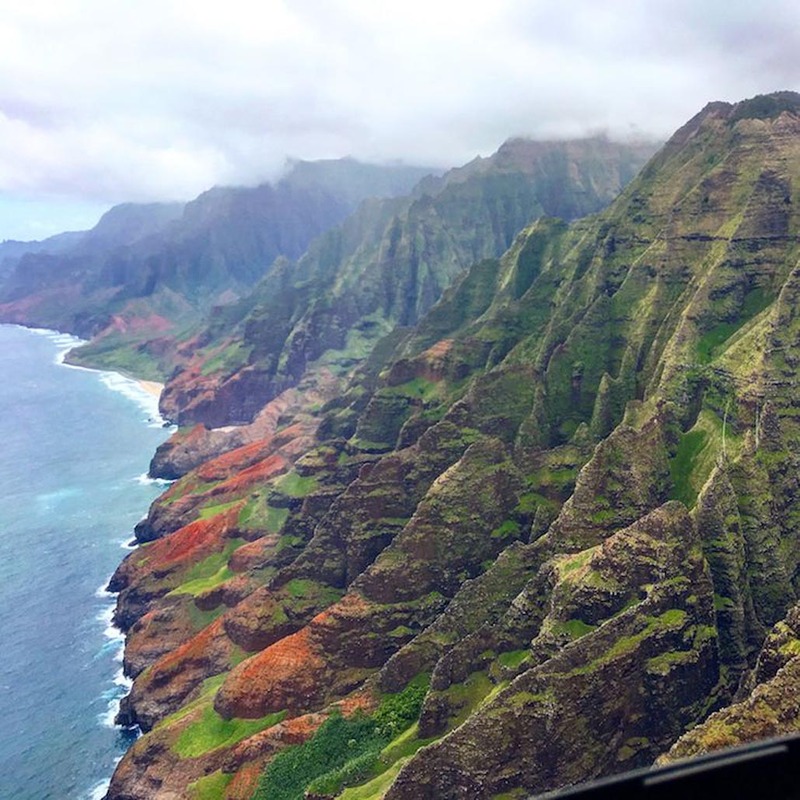 You can book helicopter tours of Kauai with Get Your Guide. Free cancellations with full refund up to 24 hours in advance. We have used Get Your Guide several times when booking trips around the world. They offer great day trips and many have easy options for free cancellation up to 24 hours in advance of your tour. And it offers last minute bookings for day tours and city tours. Full Day Waimea Canyon and Wailua River Tour - Visit the Grand Canyon of the Pacific and a cruise along the Wailua River visiting many of the places made famous in movies and TV. Customizable Private Luxury Tour - Enjoy a 6-hour private tour where you can choose from either the lush north and east shores, or the majestic south and west sides of the island. Kauai Scenic Flight - Take a 60 minutes scenic flight over Kauai in a small biplane. However, for those who love being out on the water, many boat companies get up close and personal with this awe-inspiring natural wonder. Most tours include a snack or a lunch; some include whale and/or dolphin watching, and some even offer the opportunity to jump in the water and do some snorkeling. Note: Just be cautious: Weather can be unpredictable, so if you’re on a tight schedule, and only have one day for the boat excursion, understand that there’s always a chance it could be canceled if the seas don’t cooperate. Lastly, most operators won’t allow children under three or four years old to participate. When traveling, my wife and I often try to find activities that we would enjoy, while knowing that they would be appropriate (or even fun) for our son as well. 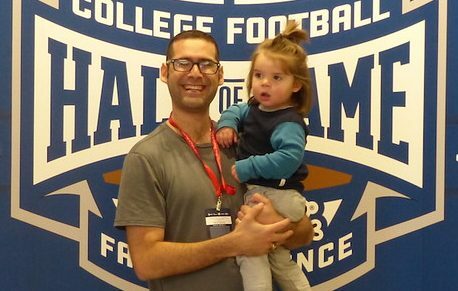 This is very different from what other parents do, which is gearing trips around kid-centric activities that the adults simply have to tolerate for the kids' sake. A perfect example of this adult-focused yet kid-appropriate excursion is the Kilohana Plantation and Railway. Every Monday through Friday, Kilohana offers an unparalleled four-hour experience. 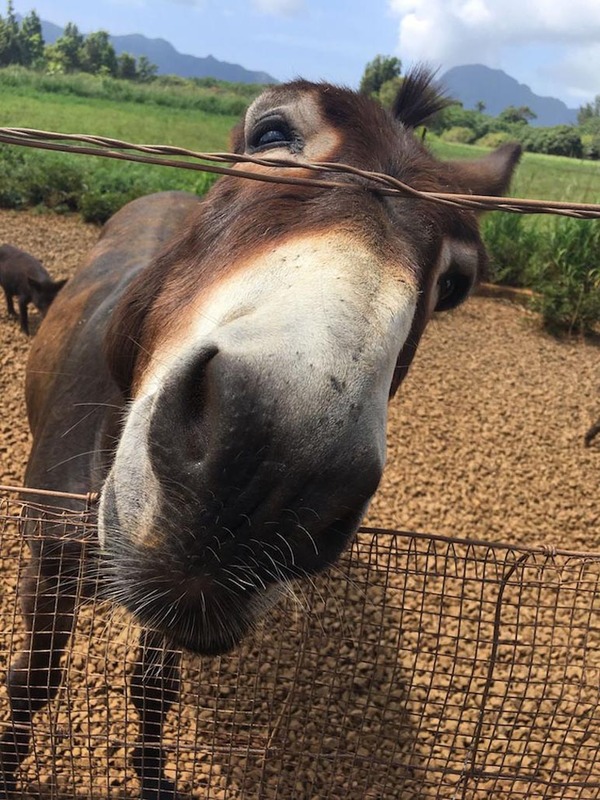 The tour includes a ride on their historic railway, a hike through some of Kauai’s lush jungles, a light lunch, animal encounters, and a stroll through their seemingly endless orchards. Best of all, you can even pick fruit right of the trees and (either take them home or) eat them right there! They only have one tour per day, and space is limited, so be sure to reserve ahead - they leave each morning at 9:35 am and get you back 1:40 pm. This tour, the “Train Hike Lunch Tour” as they call it, was the absolute highlight of our time on Kauai. 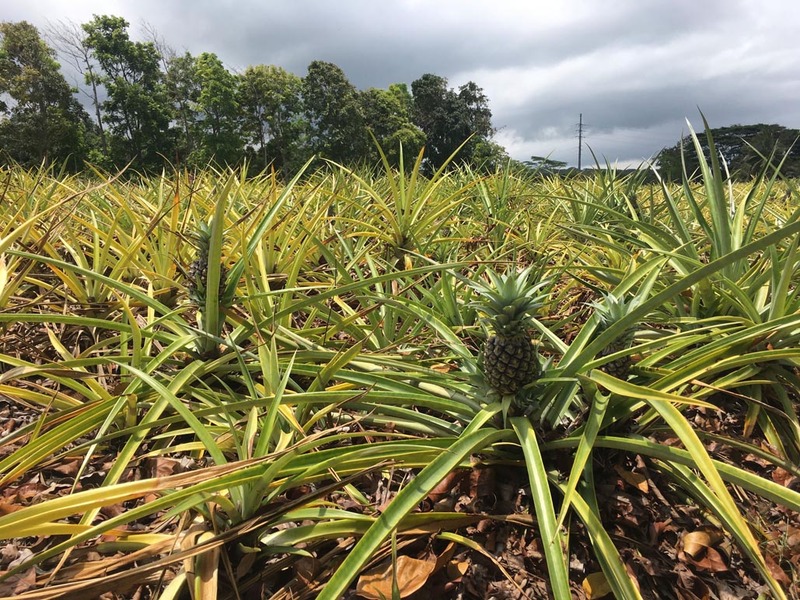 Our guide was immensely knowledgable, detailing the site's history and offering great insight into the many plants, animals, and fruits we encountered. 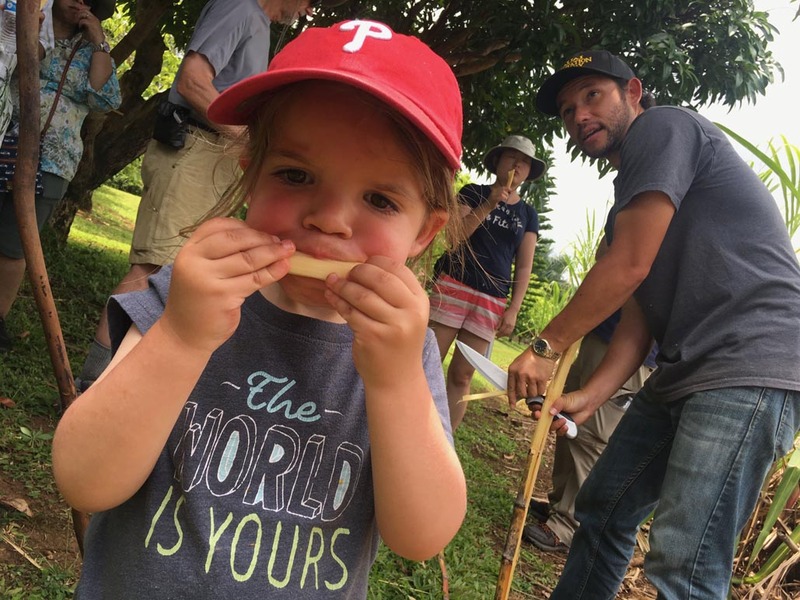 Our son was particularly enamored by the sugar cane demonstration, whereby we chopped a portion right from the ground, then skinned it, and then munched on it. Personally, I felt like a kid for the entire four hours. I was mesmerized by the beauty and thrilled to be able to learn about some of the areas rich history. Picking an avocado right of a tree wasn’t bad either! Lastly, while our schedule didn’t work out to partake, Kilohana is known for hosting one of the islands’ best luaus - Luau Kalamaku. 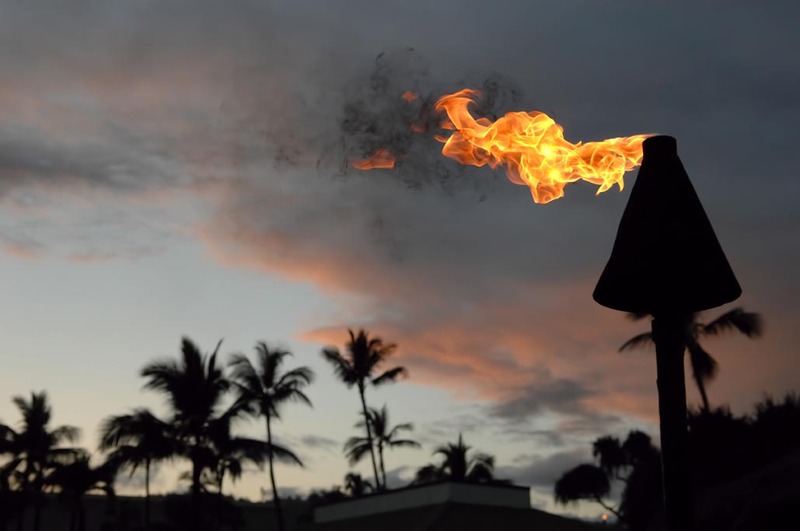 Dubbed “Kauai’s only theatrical luau” this night will leave you in awe. From the mouth-watering food to the intricate costumes, music, and dance, Luau Kalamaku really has it all. 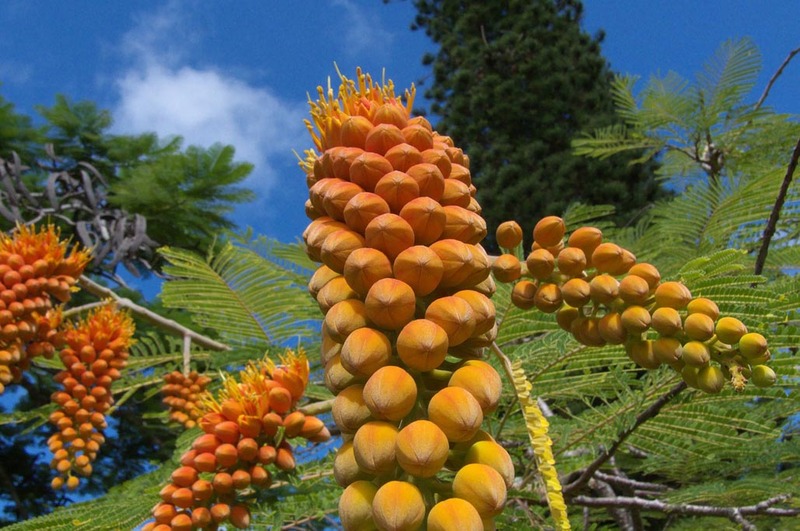 Not only is Kauai known for its stunningly drastic landscapes, but the “Garden Isle” is also known for its flora. The Na Aina Kai botanical gardens is a perfect example of where you can sample so much of what the island has to offer in one (relatively) small space. 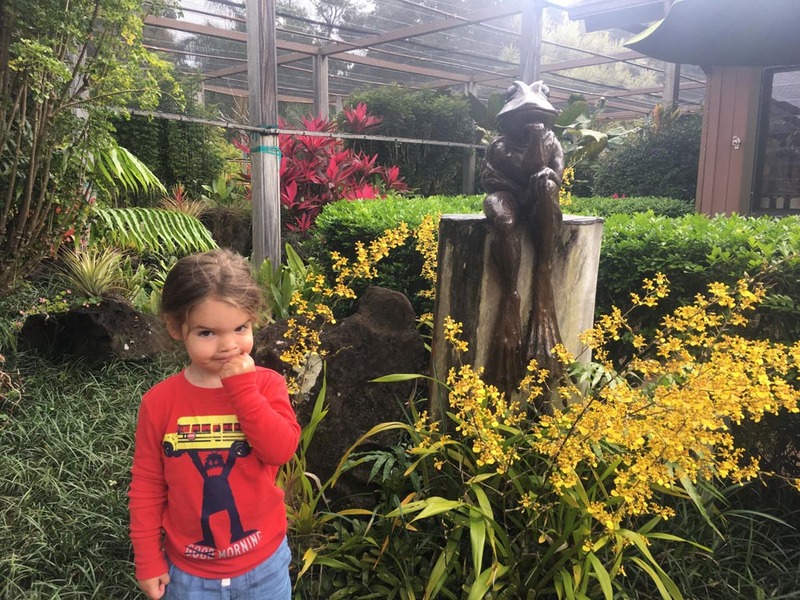 Yes, the grounds are sprawled over acres and acres, but their guided tours make it quite manageable and enjoyable - even for their youngest visitors. We joined their “Family Tour” which departs at 9:30 am each Tuesday and Friday. One thing I particularly loved, was that before setting off, each kid on the tour was given a small paper bag in which they were encouraged to put any loose fruits, nuts, leaves, etc… they found on the ground. I loved seeing how involved each of the kids became right from the start of the tour, as it was clear they were being encouraged to actively participate rather than simply follow behind the adults. Na Aina Kai, which means “From the Land to the Sea” in Hawaiian, is both a botanical garden and sculpture park. First purchased by Joyce and Ed Doty in the 70s, it began as a cattle farm and quickly grew from there. The couple built their home in the early 80s and then began to develop the property beyond simply using it as farmland. 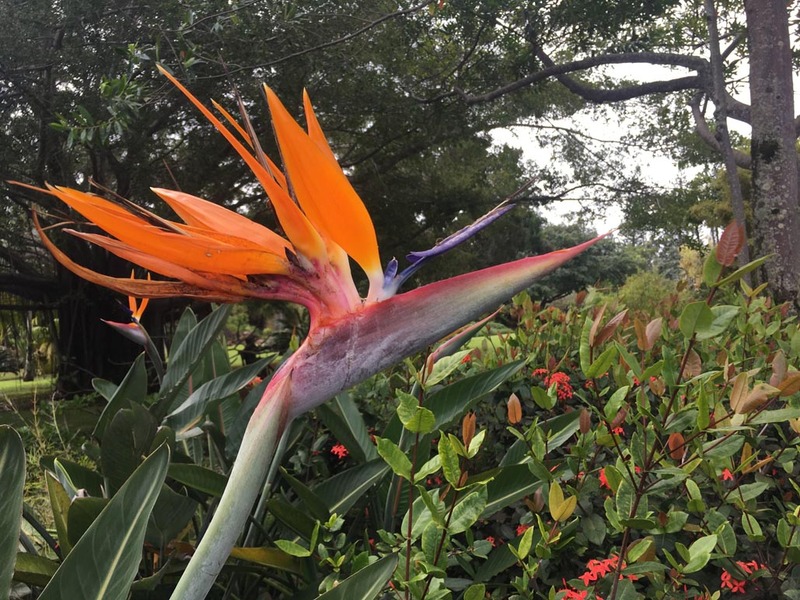 Today, it offers a unique opportunity to get up close and personal with some of the unique flora of the Garden Isle and is a fantastic place fora family activity. Beyond the “standard” portion of the walking tour, each of the family tours ends at their island-themed play space and jungle gym. You also get a chance to feed the koi, which, needless to say, each of the children absolutely loved! Last but not least, let’s talk about what and where to eat on the island. The first thing you need to know is that much like everything else in Hawaii, the food is generally very expensive. For us, having the apartment-like accommodations takes the “sting” out of food prices, as we enjoyed making food in our unit and only needed to do one or two grocery runs while we were there. Our first night, we were a bit tired and were looking for a fun spot to have dinner. Val recommended the nearby Happy Talk Lounge at the Hanalei Beach Resort (very near to Princeville, on the north shore). This place is absolutely perfect. It’s small and intimate, yet never feels too overcrowded - we know, because we loved it so much we went back three times! The menu has a nice variety, and the staff was always very accommodating. Their ahi tuna sandwich may also be the best fish sandwich I’ve ever eaten! As great as all that is though, the two biggest selling points were the view and the entertainment. The restaurant/bar is situated just above the resort’s pool, and therefore offers a beautiful, staggered view that includes the lush garden-like oasis of the in-pool grotto, and also the cliffs and beach in the distance. All of this is made even more stunning (if that’s even possible) during the early evening hours, as the sun sets just behind those cliffs each night. If you’re looking for a more upscale experience with equally-stunning, and even more direct ocean views, I recommend popping in for breakfast at the St. Regis in Princeville. 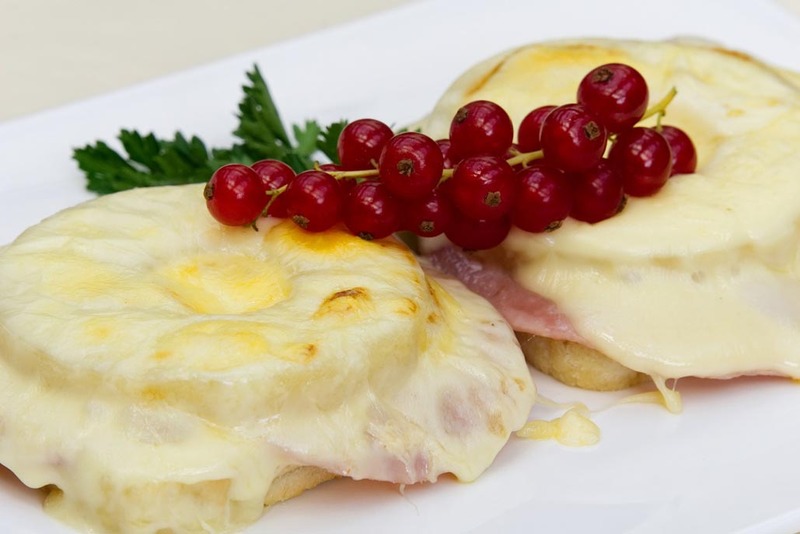 As you’d expect from a five-star resort like this, their buffet is seemingly endless and includes everything you’d need from eggs, pancakes, and pastries, to smoked salmon, raw honey and cheeses. The resort itself sits right on the edge of Princeville and offers unparalleled views of Hanalei Bay’s crescent beach and gorgeous cliffs. Be sure to ask for a table outside! This Hawaiian “delicacy” is as unhealthy as it is boring, but every kid loves it and most adults just can’t resist the temptation. Never had it? Never heard of it? Well…. I guess it’s time to head to Kauai!! Enjoy this article about Kauai? Why Not Pin it to Save to Pinterest? Through consulting and booking services, he provides world-class insight into a niche travel market. 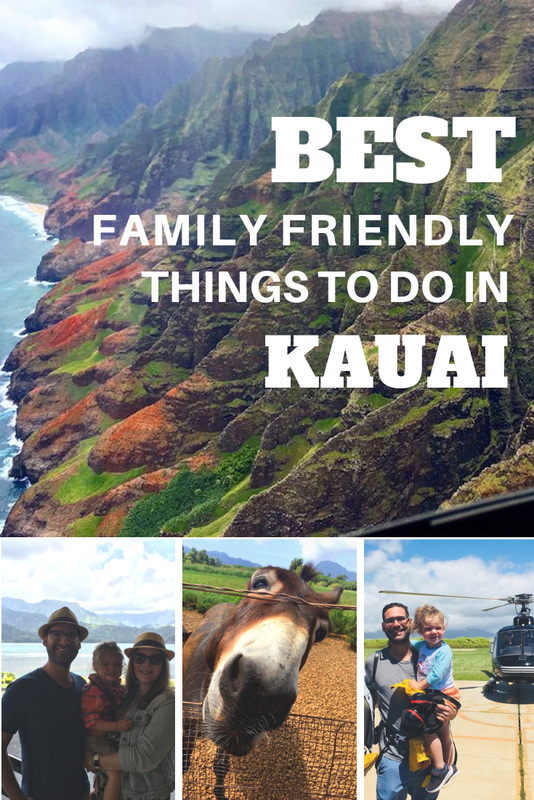 5 Responses to "Things to do in Kauai for the Whole Family"
As a family that travels with 4 kids full-time, we always appreciate finding great recommendations for accommodations that provide a kitchen, bedrooms and laundry! 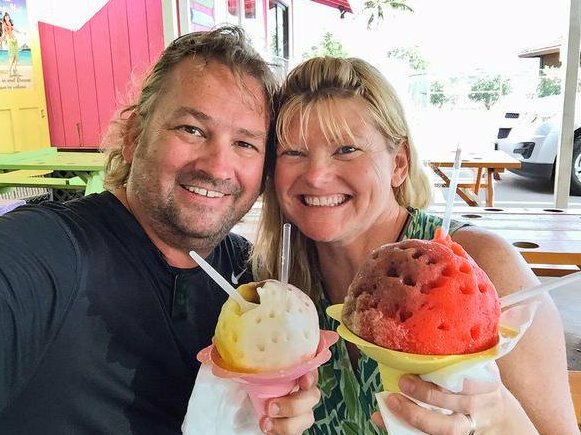 Hawaii is on our bucket list so this was such a great read! Thank you! Thanks Jill! Ari has really contributed some great family suggestions. Since we don’t have kids, we really appreciate him sharing his insights and advice. Great list. Currently, I am in Kauai and I will definitely go to try out these things. I have bookmarked it for future references. Thanks for sharing such an informative article. Hopefully I’ll get to do some good traveling someday. I have so much going on now with multitasking and full deck on my hands for the moment. But one thing I can say is when I did travel to Santa Barbara, California back in 2006, I didn’t want to leave.